The UPP Foundation, a charitable trust created by University Partnerships Programme (UPP) to help tackle the biggest issues facing the higher education sector across the UK, has today announced it is to fund the next iteration of the East London Social Hack (ELSH), an initiative aimed at students wanting to make a positive impact on their local community in Tower Hamlets, East London, whilst developing entrepreneurial and communication skills. The £18.5k grant allocation to Queen Mary University of London (QMUL) is the latest in a series of projects being backed by the UPP Foundation. The initiative was launched in 2016 by the QMUL Careers and Enterprise Centre which, in collaboration with Citizens UK East London, seeks to improve student employability by equipping them with practical skills gained as a result of setting up a social enterprise. Mentors and trainers guide the student participants through the process of idea generation and project refinement over a weekend culminating in a pitch event during which the student teams present their social enterprise ideas to a panel of judges who subsequently award start-up funds to winning teams. The project will build on the success of the inaugural ELSH by allowing the creation of more available places to students in 2017 together with extending and enhancing the programme to include inspirational speakers and facilitators who will guide students through sessions including idea generation, marketing and market research, and, ultimately, pitching a business idea to investors. The project is part of the pilot stage of QMUL’s ground-breaking strategic teaching and learning initiative, which will launch in 2017/18 to address the relative deficit in social capital affecting students from disadvantaged backgrounds. 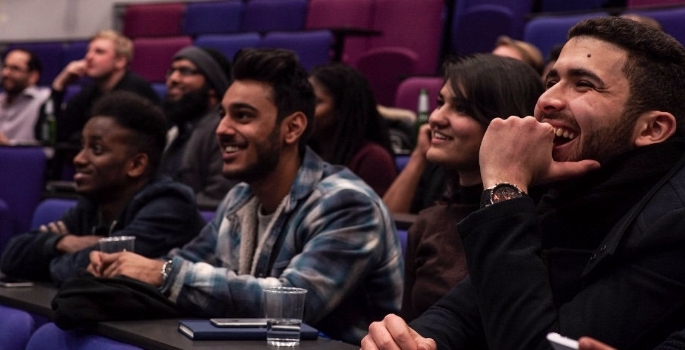 Through the creation of an integrated, credit-bearing programme for all undergraduate students, QMUL will create a tailored university experience that will enable the development of skills, experience and connections to help set graduates on the career path that is right for their talents. Dr Paul Marshall, Chair of the Board of Trustees at the UPP Foundation, said: “Employment is vital for economic and social wellbeing, so it is of no surprise that most students who enter higher education do so in the hope of securing fulfilling employment. It is one of the UPP Foundation’s aims to support innovative projects that enhance young people’s social capital and skills development that are so important in helping them become employable. This year’s East London Social Hack will take place in February over two days. The extended programme for the student social enterprise teams who are awarded funding will take place over the following two months.